We're still working on our own plans to grab that $10 million Tricorder X-Prize from Qualcomm and our progress has just been given a shot in the arm from Dr. Peter Jansen, who's released the designs for his tricorders. Making all the specifics open source, his Mark 2 model runs on Linux, while the hardware includes an ARM Atmel microcontroller squeezed into a clam-shell with two OLED touchscreens. Schematics, board layouts, and the firmware is all available at the source below and also includes the initial proof-of-concept device. The tricorders need six AAA to run and include sensors for temperature, humidity, atmospheric pressure, ambient light, distance and even magnetic fields. Dr. Jansen's hope is to make scientists out of everyone -- including your kids. That is, right after they ask you what Star Trek is. 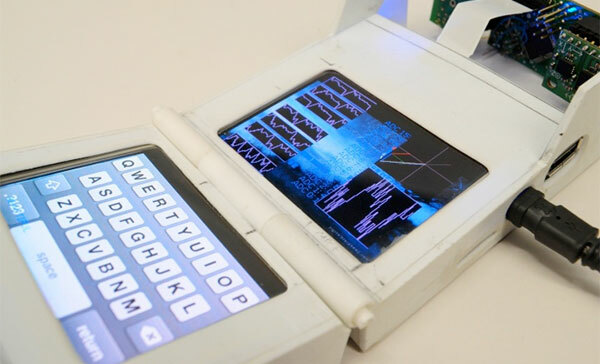 Tricorder designs go open source: can detect magnetic fields, reveal Trekkies (video) originally appeared on Engadget on Thu, 29 Mar 2012 17:51:00 EDT. Please see our terms for use of feeds.